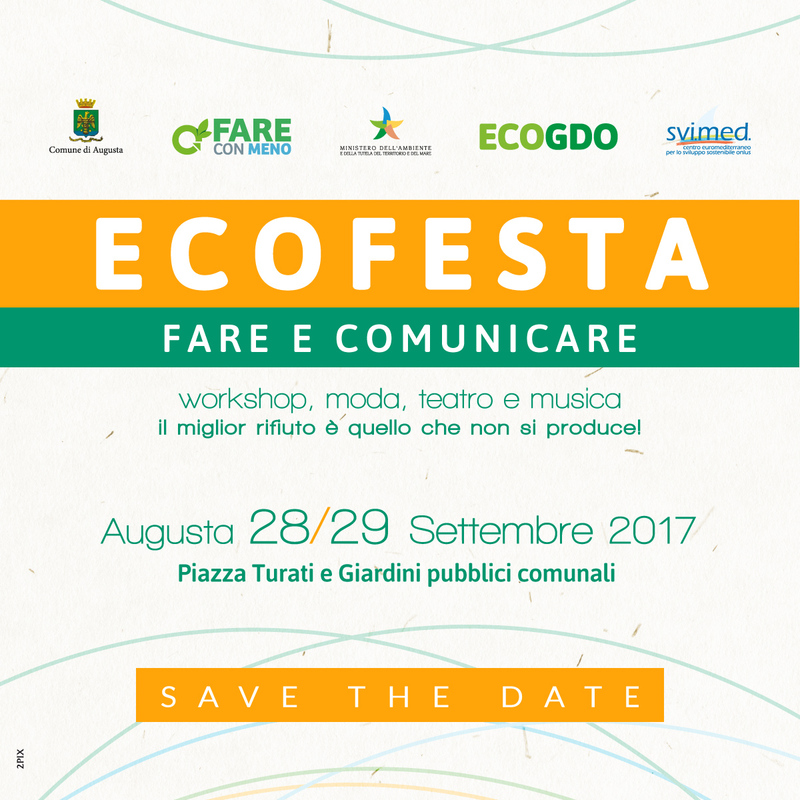 The URBAN-WASTE project will be presented at the EcoFesta, Fare e Comunicare, which will take place in Augusta, Syracuse on 29 September, 2017 within the workshop “private public synergy: demand and supply (from GPP to Mass Retail actions) against food waste“. The main issues that will be discussed concern waste management policies and the promotion of strategies needed to make production and consumption more efficient, stimulating cleaner production processes, built with a better environmental performance, and more responsible and sustainable consumer behavior. Ecofesta is organized by two projects funded by the Italian Ministry of the Environment, Fare con Meno project managed by the Municipality of Augusta and the ECOGDO project managed by Svi.Med. The event, in addition to the technical workshops, focuses on the comparison between national and regional strategies on waste prevention, and provides networking moments during the eco-aperitif and artistic events to stimulate open and constructive confrontation on debated topics within an informal atmosphere.